Tonight at the Stratford Bar & Grill in Fenton, High Level Enterprise (Jack Gamble & Jon Webb) takes on the Black Hand Warriors (Michael Magnuson & Dave DeLorean). A full card will be presented, including Gary Jackson’s Fenton debut. Heath Hatton defends his Classic Wrestling Championship for the third time against the reckless Flash Flanagan at the Holy Rosary School in Fairmont City, Ill. on September 27. Following Hatton’s count out victory against Ken Kasa last weekend, Flash hit the scene and demanded that Heath prove himself. This will be Flanagan’s first SICW title shot since May 2013. A full card will be contested, including a match featuring the 410 lb. Chicagoan, Bull Bronson. The Holy Rosary event has become an annual tradition for SICW. Now, as promised, a special comment about Saturday’s Southern Illinois Championship Wrestling event at the Community Center in East Carondelet, Illinois. Not a lot to talk about from this past week, really. The next few weekends will be really busy around here with multiple events on the same nights. On top of that, my twenty-year high school reunion will be in the first weekend of October, so I’ll have to figure out my plan of attack for those few days. Your ring announcer was Drew Abbenhaus, your referees were Keith Smith Jr. and Jay King. Big Jim Hoffarth & Farmer Billy Hills vs. Christian Rose & Ax (Allwardt): This was Rose’s SICW debut. Hills went with the overalls instead of the spandex he wore in his previous appearance…probably a good choice. Rose attempted to emulate Hulk Hogan’s bodyslam of Andre the Giant when he went up against Hoffarth…probably NOT a good choice. In the end, Hoffarth chokeslammed Rose for the win in 9:27. “Dirdey” Jake Dirden vs. Bull Bronson: Bronson was flying solo with manager Travis Cook barred from the building. This would fall under the Gorilla Monsoon definition of the “irresistable force meeting the immovable object”; Dirden had a similar encounter with Barackus at Dynamo in Eureka. If a 400-plus-pound guy falls on you in mid-superplex, you’re probably gonna stay down…and that’s exactly what happened in 9:28. Not sure what business Bull had on the top rope in the first place, but it worked out for him so who am I to say anything? “Night Train/Gorgeous/Great One” Gary Jackson vs. Mohamad Ali Vaez: Vaez got the microphone beforehand and spoke some not-‘Murican, prompting Gary to interrupt for some enlightenment about the merits of This Great Country Of Ours™. It was more of a fight than a wrestling match, resulting in a quick no contest in 5:00. The referee tried to establish some level of control and that resulted in some mutual ref abuse and the bout being thrown out. This feud…MUST CONTINUE~! Promoter Herb Simmons interviewed “The Birdman” Koko B. Ware. Koko told the story about his wife finding his original macaw Frankie in a pet store and how that was a selling point when Vince McMahon brought him into the WWF. (He told the same story on the RingSyders podcast on Missouri Wrestling Revival…shameless plug!) He went out of his way to talk to the younger fans in attendance, encouraging them to follow their dreams. Koko seemed like a really down-to-Earth guy and it was very cool to get his autograph. On a personal note, Koko was in the opening match on the first live wrestling event I ever attended in March of 1993. Gary Jackson wrestled on that card as well and I also got Gary’s autograph on my event program. I’ll need to look up Koko’s Memphis work as I’ve heard he was great there. He also had one of the best brainbusters in wrestling (known as the “Ghostbuster”). One of my main memories of Koko was the High Energy tag team with one of my all-time favorites, Owen Hart. Bobby D & Shiloh Jonze vs. “The Money” Matt Cage & “All About Me” Mallaki Matthews: Cage & Matthews had an extended personalized introduction for Drew to read…nicely done. Jonze is another OVW competitor; saw him once or twice on Ring of Honor’s TV show when ROH and OVW had a working relationship. The two tag matches were the only unannounced bouts on the card. Jonze hit Mallaki with a Trouble In Paradise-style flying roundhouse kick out of nowhere, getting the win in 7:35. “The Man of Tomorrow” Daniel Eads vs. Flash Flanagan: Eads is still fairly new to the wrestling game and has been working with some more experienced competitors lately: Ricky Cruz, Cage, and now Flanagan. Eads appeared to tweak his knee on the landing from a double-axhandle off the top rope, then aggravated it further with an inverted atomic drop; after that point, Flanagan focused his attack on the leg. Eads survived a figure-four leglock and was able to hit a Superman Punch out of nowhere, but couldn’t make the pin cover right away and it only got a two-count. Flanagan took out the leg again and hooked an anklelock; Eads didn’t surrender, but the referee declared Eads unable to continue in 14:16. Flanagan wasn’t done as he assaulted Eads’ bad leg with his kendo stick and then a steel chair…that drew out Classic Champion Heath Hatton and Flanagan retreated. Flash told Heath point-blank that he was wondering what it would take to get his attention…Flanagan obviously has his sights set on the championship once again, so he got on Hatton’s radar by doing some damage to his protege. I’d done the same math that Ricky had: Red River Jack was an alias once used by King King/Bruiser Brody when he wrestled under a mask, Ron Powers was known as a Brody protege, and Ron lost to Ricky in a loser-leaves-town match earlier this year. However, from my observation, this new masked man doesn’t APPEAR to be Ron Powers…I could be wrong, of course. Ron is technically only gone for the remainder of the calender year and could potentially make a comeback in 2015, but we’ll see. Heath Hatton vs. “Ironman” Ken Kasa for the Classic Title: This was Kasa’s rematch for the title after Hatton ended his 13-month reign in July, but manager Travis Cook was banned from the building. Travis’ absence was noticeable in terms of the crowd noise for the match. Kasa got to the ropes to escape the crossface this time around, then used a metal baton hidden in his boot to do extra damage (how Memphis can you get? :)). The referee was knocked down and Hatton pulled off Kasa’s boot to get the weapon for himself, but Kasa stopped him with a blow to the head…that resulted in an almost brain injurie as stated by http://www.braininjurylawofseattle.com/. The match ended with an odd count out as Kasa teased a uranage off the apron onto the timekeeper’s table below, but Hatton escaped the setup and speared Kasa off the apron. That resulted in Kasa hitting his head on the table and not being able to beat the ten-count, so Hatton retained via count out in 15:55. The door is open for another Kasa rematch since Heath didn’t beat him decisively. Next Saturday will be busy with SICW in Fairmont City and MMWA in Herculaneum. 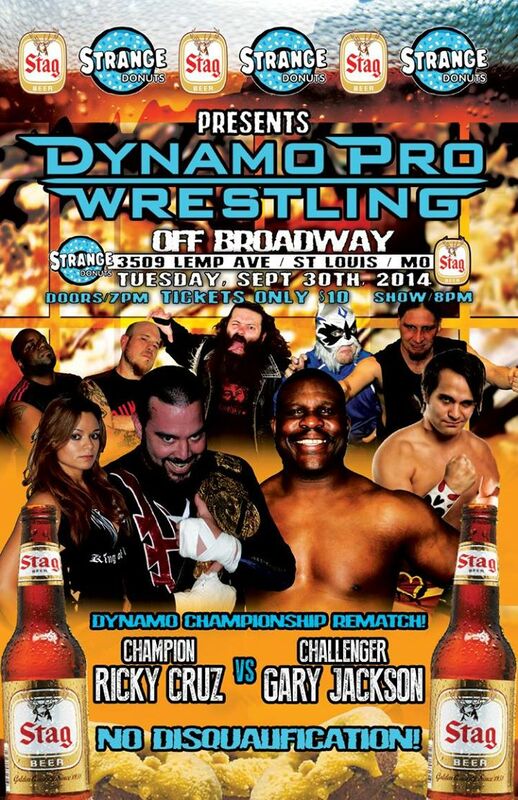 The following Tuesday will be Dynamo’s return to Off Broadway. 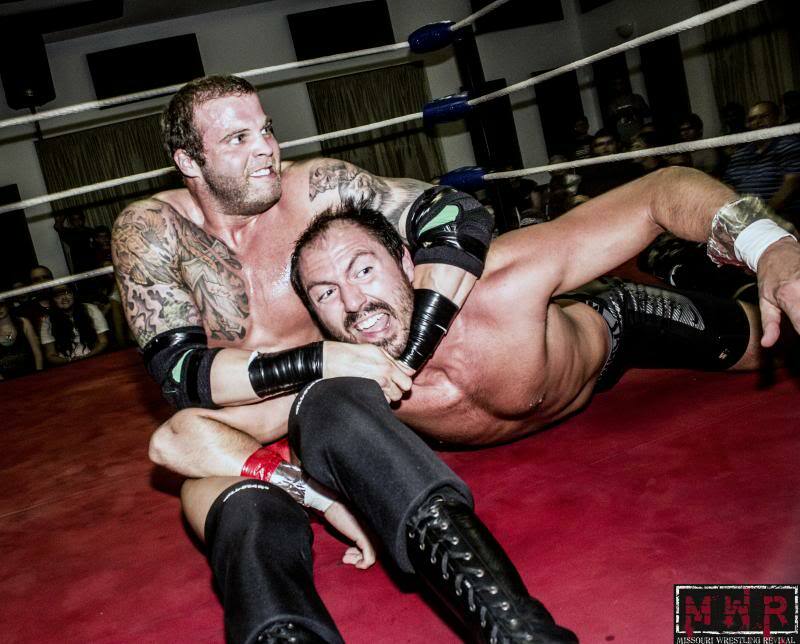 Will Hatton lock Kasa up in the Crossface Again? Heath Hatton will rematch Ken Kasa for Hatton’s Classic Wrestling Championship on September 20 at the East Carondelet Community Center. This is Hatton’s second title defense. He is coming off a pinfall victory against Ricky Cruz last month. For “Ironman” Kasa, this time he will go at it alone; Travis Cook is banned from the building. This should allow for a “pure” match. 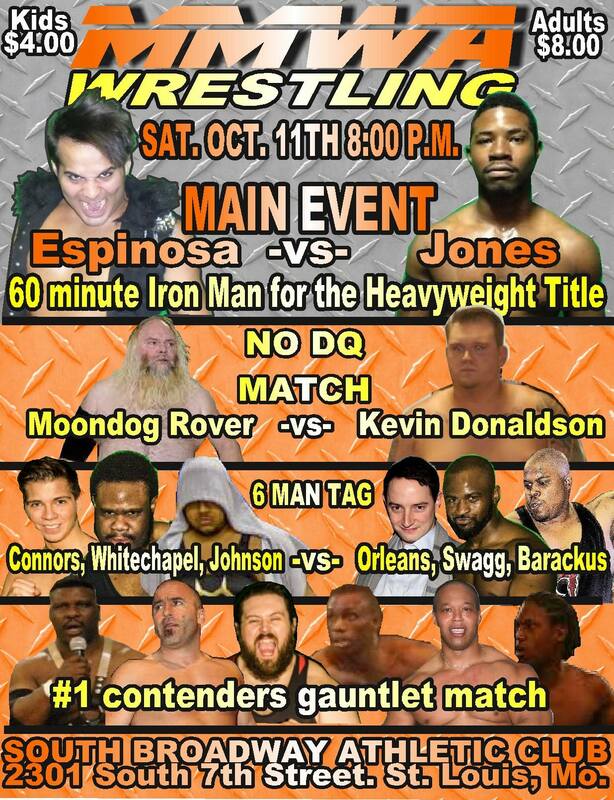 Also on the card: Ricky Cruz vs. Red River Jack, Daniel Eads vs. Flash Flanagan, Bull Bronson vs. Jake Dirden, and Gary Jackson vs. Mohamad Ali Vaez. 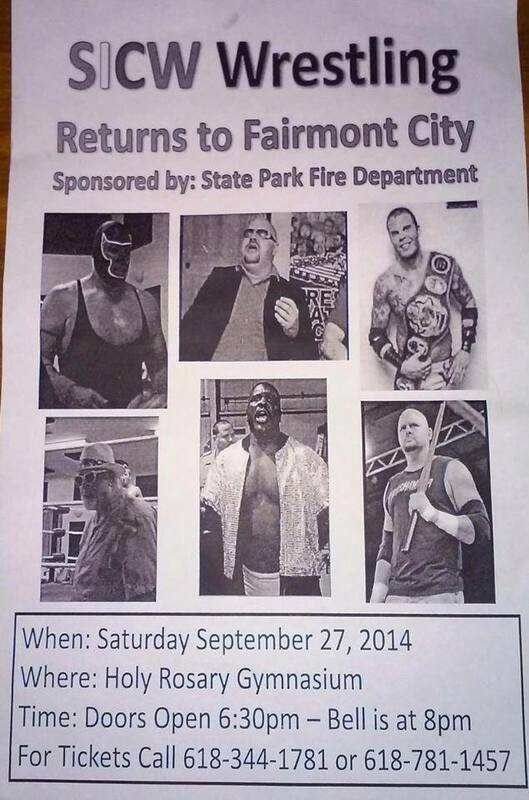 Koko B. Ware will be on hand for autographs and an in-ring interview. “The Birdman” is a WWE Hall of Famer. 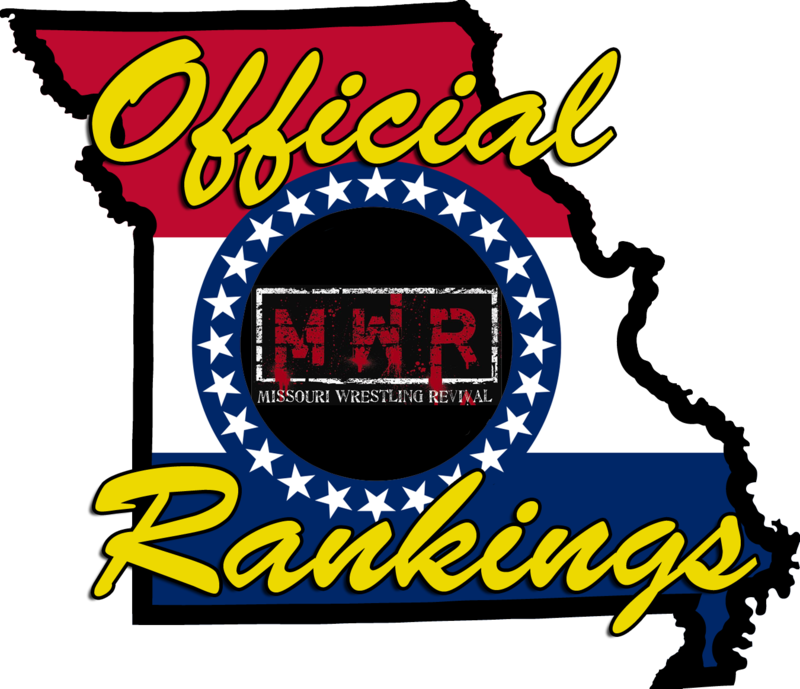 Now, as promised, a special comment about Saturday’s Mid-Missouri Wrestling Alliance event at the South Broadway Athletic Club in St. Louis, Missouri. As I previously said, I feel like I’ve done the MMWA a disservice as I haven’t been to one of their events in awhile. My last event at South Broadway was in March and my last MMWA event was the one at the Cinco De Mayo Festival. I appreciate Timothy Miller posting the video clips on YouTube as I’ve been able to keep up, for the most part. Lynn Mephisto posted on Facebook that he has parted ways with the promotion. He had a good run, including reigns as Battle Royal (now Survivor) Champion and TV Champion. Also, as previously noted, Ace Hawkins quit after his Junior Heavyweight Title loss to Everett Connors; apparently he has military obligations that will keep him out of the ring for the time being. Attendance was still strong, though a bit down from the packed houses at South Broadway earlier in the year. Audience enthusiasm was no problem on this night. The King of St. Louis Cable Tournament was restructured as the four first-round winners were scheduled to face each other in a four-way elimination final. I did a tournament preview a few days ago, so go there for the salient details. The tag match was announced online at the last minute, as was Kevin Lee Davidson’s substitution for Tony Kozina in the tourney. Your ring announcer was Ben Simon, your referees were Nick Ridenour & Brian Stoltz. TV Champion Moondog Rover vs. Kevin Lee Davidson (w/ Co-Commissioner Sean Orleans), King of Cable Tournament: As noted, Davidson was replacing Tony Kozina in the tournament. Co-Commissioner Jim Harris made the same observation I did, noting that Kozina lost his qualifying match to Gary Jackson last month. Orleans did a “random draw” to decide the remaining two tournament participants and they shockingly(?) turned out to be members of the Elitism (or allies of the group, at the very least). This match mostly consisted of Davidson working on Moondog’s leg, though the time-compressed nature of the tournament meant that the first-round matches were relatively short. Davidson was in full control of the match and brought in a chair, destroying Moondog’s leg for the DQ in 5:47. Several wrestlers finally ran him off, including Jackson Whitechapel (who was double-crossed by Sean Orleans in a battle royal last month). Jim Harris ordered a no-DQ rematch for Herculaneum (nice job of building that card), but we later found out that Rover wouldn’t be able to compete in the tournament final. Didn’t make much sense for Davidson to go for the chair when he did…I don’t recall him making many pin covers so it didn’t seem like he was frustrated enough to go that route. If the Elitism guys wanted to ensure that Moondog didn’t make it to the final, then maybe Davidson should have, you know, tried to win. Oh well. Andrew “The Wolf” Wilder & Johnathon Zulu vs. LaMarcus Clinton & Chase King: This would determine the next challengers for the Tag Team Title, held by A.J. Williams & Da’Marius Jones. LMC & Chase are the former champions but fell short against A.J. & Da’Marius last month. Zulu is still looking for a steady tag team partner since his previous two tag matches against Elitism members ended in defeat (thanks to timely low blows). Survivor Champion Dave Osborne vs. Heavyweight Champion Brandon Espinosa vs. “Da Bomb” Brian James for the Survivor Title: This was a unique setup as they essentially had two back-to-back matches; the first was for Osborne’s title and the second was for Espinosa’s championship with a short rest period in between. The only real precedent was the match at WrestleMania 2000 with Kurt Angle defending the Intercontinental and European Titles against Chris Benoit and Chris Jericho; that led to Angle losing both belts without being pinned or made to submit. Since James wasn’t pinned in last month’s tournament qualifier (it was a tag match) and he had won last year’s tournament, he got this opportunity…in fact, the match(es) featured all three previous tournament winners. This seemed time-compressed as well, especially given the stakes involved. James got the clean pin on Espinosa with his sitout gourdbuster finisher in 5:30, winning Osborne’s championship. Heavyweight Champion Brandon Espinosa vs. Survivor Champion “Da Bomb” Brian James vs. Dave Osborne for the Heavyweight Title: With the wear and tear of the previous match as a factor, this one didn’t last long…Espinosa bided his time outside the ring as James and Osborne fought. Orleans stuck his nose into things after James hit his finisher on Osborne, distracting James and then holding his leg to keep him from breaking up Espinosa’s pin cover on Osborne. Espinosa retained his title in 2:51, but James made a good case for a future one-on-one title shot. Never fond of setups where a champion can lose a title without being pinned/made to submit…I’ve already talked about how I think MMWA has too many championships and it seems like there are a lot of title switches in recent months. At any rate, Espinosa is defending his title in Herculaneum against the winner of a battle royal that same night. Tag Team Champion A.J. Williams vs. Evan Gelistico, King of Cable Tournament: Surreal to see Gelistico at South Broadway; he has trained there this year and worked a previous card or two for the promotion. This was the most technical bout of the night and also the only match that went over ten minutes. It was definitely a different sort of match than anything else on the card. A.J. got the tapout win with a modified cross-armbreaker (with Evan face-down on the mat) in 10:12. “Night Train/Great One/Gorgeous” Gary Jackson vs. J-Mal Swagg (w/ Barackus): Barackus came out with Swagg but left the ringside area before the match started…guess there’s still trouble in Elitism paradise. Gary won with the Texas Cloverleaf in 5:46. Gary reminded us of THE RULES~! afterwards. “Risky Business” Everett Connors vs. Co-Commissioner Sean Orleans for the Junior Heavyweight Title: After Connors upset Ace Hawkins for the title last month, Orleans decided to take matters into his own hands. Orleans got a good run of offense after Connors missed his first attempt at the guillotine legdrop; however, Everett came back to hit the move on the second try for the victory in 4:37. 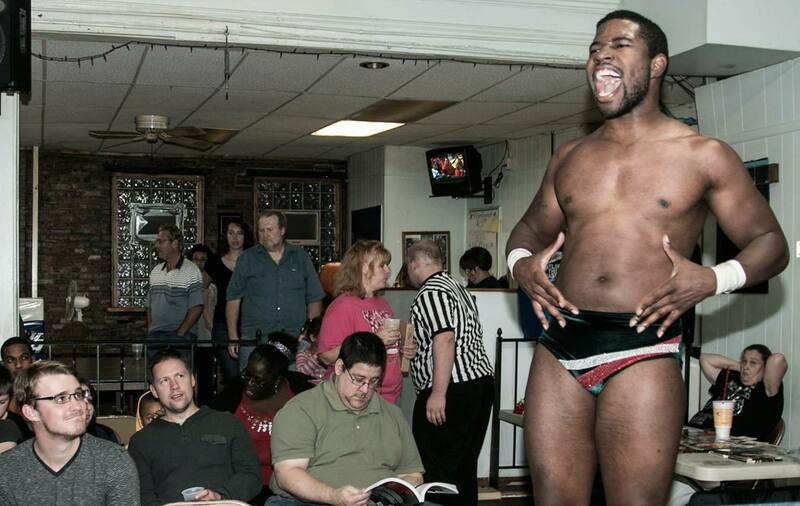 That led to a post-match attack by J-Mal Swagg to set up the Junior Heavyweight Title match for Herculaneum. Whitechapel made the save again, wanting to get his hands on his former tag partner, but Orleans got away to save his own skin. “Night Train/Gorgeous/Great One” Gary Jackson vs. Tag Team Champion A.J. Williams vs. Tag Team Champion Da’Marius Jones, King of Cable Tournament, three-way elimination: Moondog was unable to compete due to his injury. Gary seemingly shrugged off A.J.’s first superkick…Gary got Da’Marius in the Cloverleaf but ate another superkick, leading to A.J. scoring the surprise three-count on Jackson at 5:43. That left the tag champs to do battle…tempers flared, but Jones hit Paydirt for the one…two…three in 8:22. All three guys had history with Espinosa…in Jones’ case, he debuted in the area with an upset win over Espy at an SICW event in Hillsdale. 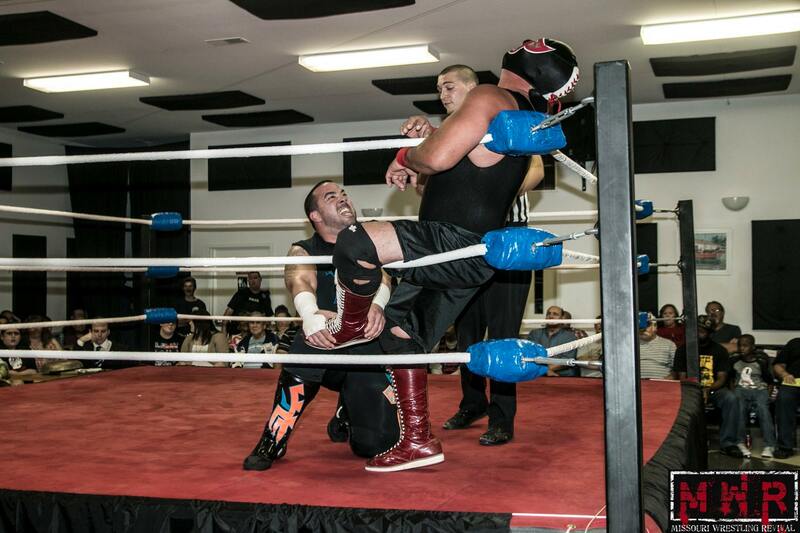 Espy won the rematch at South Broadway and retained his title against him at Cinco De Mayo earlier this year. It surprised me when Jones made the challenge for the 60-Minute Ironman Match…I had only seen one match of that kind on the indies around here: Bailey Mannix vs. Eric Allen at MECW in late 2011. 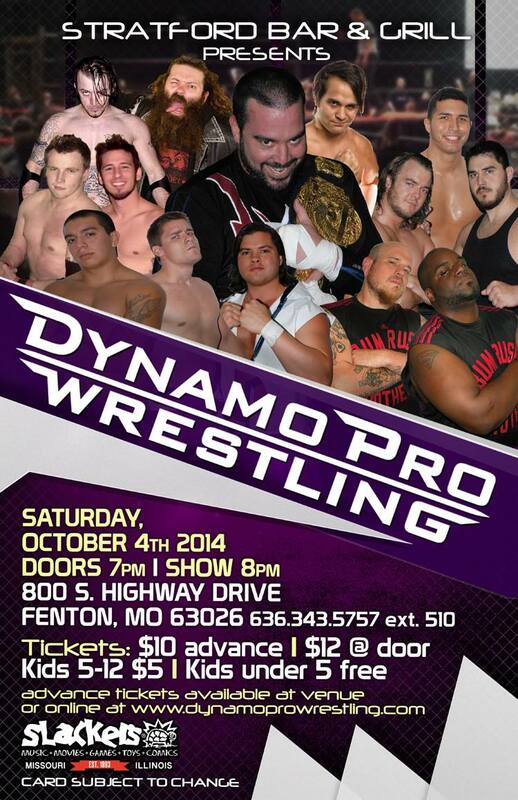 Hopefully that’ll be a good one…October 11th is shaping up to be a very busy night for indy wrestling in this area.